We’re stoked to announce a debut set from none other than London’s fastest rising trance and tech DJ Mark Landragin!Mark’s enjoyed an ascendant profile in recent years, landing gigs that would be the envy of any self-respecting DJ.He’s played the Gallery, Electronic Sessions and was even booked to play closing set at last year’s massive Paul Van Dyk warehouse party.He’s a resident DJ at Dancevirgin, one of London’s newest trance nights, and is one of the promoters behind Trance Sanctuary another new face on the London scene that has already won legions of admirers since launching early this year.This DJ really has it all – versatility, broad taste in the very best trance music and a true ability to read a crowd.Don’t miss his very first set at Puzzle! 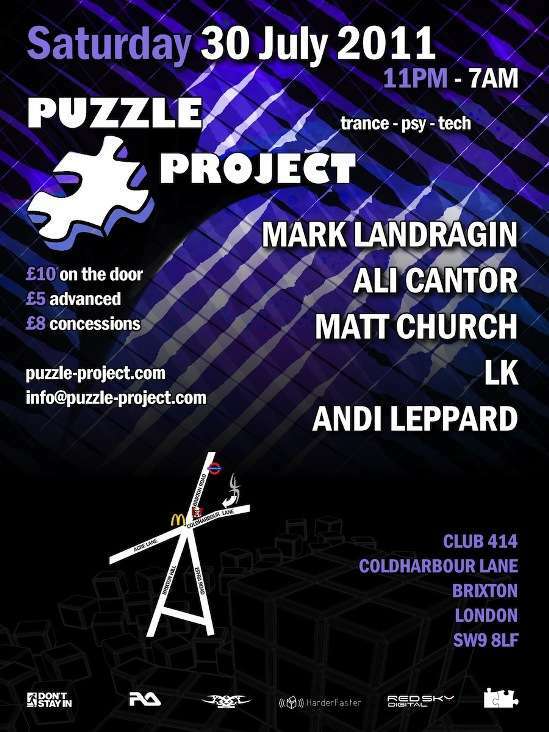 Next up this month is Puzzle resident Ali Cantor in his first set for the Project this year – we’re delighted to welcome him to the 414 for what is sure to be a huge set.Ali’s won fans across London dancefloors with his brand of driving, funky and chunky trance, having torn it up for Yes, Zoology and Spangulation and of course Puzzle Project!Those who’ve caught his previous sets at Puzzle will know what the fuss is about – this man delivers each and every time! 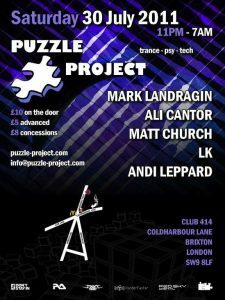 There are few London clubbers who won’t have seen a set from this scene stalwart.Puzzle founder and veteran of the underground club scene Matt Church is one of the capital best loved DJs.Expect the very best in progressive house, tech and trance, delivered by a DJ whose love for the music he plays is totally infectious.WIN! The newest addition to the Puzzle residents will be representing the sounds of psychedelia this month.Andi has rocked the big room at Halcyon many times, together with sets at some the UK’s biggest psy nights, Manchester’s Illuminaughty to name just one.Andi has proved himself time and again since joining the crew and this month will be no different.He’ll be spinning a selection of the very best psy trance so for those who like things a little more twisted in the small hours of the night won’t be disappointed! 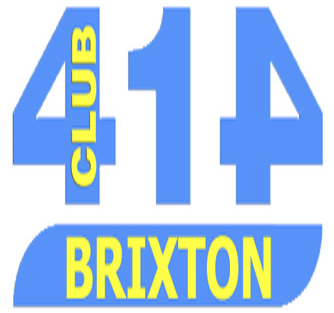 Completing this month’s line up is LK – Puzzle resident, DJ extraordinaire and all round top lad.LK’s sets encompass many genres, from house to techno through to banging uplifting trance.Each one’s a little different meaning he continues to delight and surprise the Puzzle crown every time he plays.Expect the unexpected! There we are – five good reasons to come and play on 30th June at Club 414.When you add the famously friendly atmosphere of Puzzle Project the logic becomes irresistible.Come along and see why we’re London’s biggest small party – don’t be the missing piece!